Rats are of different species and they are hazardous pests. Not only will they feed on your food, but they tend to gnaw everything they find. Therefore they may end up invading your wardrobe, running helter skelter on your ceiling, and transmit diseases.And the worst of all news is that they reproduce fast , and if you don’t do something to eliminate them they may populate your room and grow their family. The good news is that they are easily to identify and they tend to inhabit the kitchen areas most.-when hungry and during the night. Therefore, if you notice some minute bites on your apple, or any food left overs, some small roundish dropping, and of course, some gnawing sounds, you should understand that they are around. As there are different species, there are also different rat habitats. There are some that love to reside outside trees, shrubs, and other bushy locales, and will only visit your room when hungry. Others will occupy ceilings and other less frequented yet closed regions where they cannot be seen. But is rare to see these rats during the day, unless, you accidental smoke them out from their hiding locations. But if you happen to see one during the day, it would mean that there are a lot of them, and they are scrambling for survival. Identifying of rat habitat is a cool thing that may help in the rat pest control process. But it’s worthy to note that rats are so sensitive and the minute they sense some movement they will run and disappear, as if they were never there, they are understanding of the route they will follow, and they tend to play hide and seek, see if you will leave, for them to continue feasting. How To Prevent Rat From Populating. There are countless methods of reducing their population, but we will focus on some that will prevents rats within the least time possible. However, if the area of infestation is large, it’s advisable to get helping hands. And the good news is that there are plenty of rats pest control companies that are ready to help. For effective rats pest control, you could start by reducing any clutter inside and from outside your house. Rats love to visit dirty places, and if they found your room to be spotless clean, they will leave. Therefore, you will need to remove the clutter that will provide suitable areas for hiding. Clean unused cars and review if they have habituate the place. Also, you will need to cut down tall grass and other vegetation that provide suitable breeding and hiding grounds for the rats. Also, proceed to seal all the rats entry points, this will mean you seal the crack and other crevices that are greater than a quarter inch. This way you will be able to keep rats away from your building and reduce their population, without necessarily, applying any chemicals. Setting a trap is one of the best ways of capturing rats, dead, or a live. And the good news is that there are several rap traps that you could sort out to, and all you have to do, is to place them in premier locales where you suspect rats can’t miss to visit. However, trapping has some advantages, of course, when compared to bating. First, it’s a perfect method where you could catch and get rid of the dead rat, before their odour becomes an issue. Likewise, trapping doesn’t lead to any kind of secondary infection and will get the job done without risking secondary poisoning. However, its only downfall is that it’s less efficient when dealing with a large rat population. Though an efficient method of exterminating large rat populations, its has it downfalls. First, you will have to deal with the rat odour, something that’s not welcoming, and if the process is not done correctly, it could lead to secondary poisoning. Nevertheless, setting up a rat bait is recommended in unreachable regions by children and other domestic animals. This is not only best methods of controlig rats population , but exterminating them . Rats will stay away if they notice any signs of cats . And the good news is that it will take about 2 weeks for a good cat to adequately control the cat population. Therefore, having one or two cats, is the best way of rat pest control. 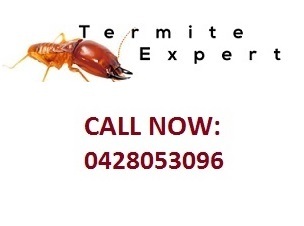 Rat Pest Control- Choosing the Right Pest Control Company for the Job. When you cannot stand rat damages and you need to exterminate them fast, you could choose the best rat pest control company. With many of them, you will need to be considerate of the following actors before choosing one. Cost – It’s adamant to go for one that charges an affordable price. And the latter should be commensurate with the services that will be offered. However, the latter is something you could get as there are plenty of companies charging affordable pricing. Level of expertise. This is pivotal, if you need to get rid of rats fast. A company with loads of years of experience in the game will always come up with the best method of exterminating rats, and one that will be kid and pet friendly. In conclusion, there are different methods of controlling and preventing from being infested by rats. And when you can’t eliminate the rats, there are different rats pest control companies that will be willing to help. The key is to get the right one for the job, and out the above recommendation will help.